Let’s start with a quiz—ﬁve questions about mileage reimbursements. It’s ok if you don’t know the answers. As you read this guide, you’ll ﬁnd the answers interwoven throughout. At the end feel free to take the quiz again. How much do you think you think know about mileage reimbursements? If your organization employs people who use a personal vehicle for work, you have what we call mobile employees. Mobile employees make sales calls, manage accounts, provide training, attend conferences—and more. These employees should be compensated for the business use of their personal vehicle. Your organization may pay a cents-per-mile reimbursement such as the IRS mileage rate or a monthly car allowance. If you’re paying a car allowance, check out our ultimate guide to car allowances. How did you choose the mileage rate or reimbursement amount? Does the reimbursement cover the expenses of every employee? How long has it been since you last reviewed your plan? Is your mileage reimbursement plan taxable? These questions have answers, but it often takes some digging to get these answers. As a result, many organizations opt to stick with the status quo rather than conduct a periodic review. It’s easy to just pay the IRS mileage rate and leave it at that. Why expend time reviewing your policy when the one you’ve got is easy to understand and easy to administer? But what if we told you that your mileage reimbursement may be costing the company in lots of small ways that add up to serious liabilities? Ensure equitable treatment of employees. Reduce the risks associated with employee drivers. What’s a reasonable mileage reimbursement in 2019? But don’t move on too quickly to answer that question. In order to determine an appropriate reimbursement rate, you need to know what expenses a mileage reimbursement actually includes. The most obvious expense is gas, but in 2018, gas only constituted 17% of the average driver’s vehicle expenses. Reimbursable expenses cover a wider range than you might expect. By requiring an employee to operate a personal vehicle for work, a company assumes an obligation to defray the full array of costs associated with vehicle ownership. The employee is hazarding an expensive piece of personal property in order to represent the company, and that employee should be able to expect a comprehensive reimbursement for those vehicle expenses. A number of employee-friendly states (e.g. California, Illinois, Massachusetts, Rhode Island, North Dakota, and South Dakota) have labor laws protecting the use of a personal vehicle for work. What counts as “all reasonable costs”? First, by requiring employees to use a personal vehicle, the employer makes vehicle ownership a condition of the job. That means reimbursement should include such ﬁxed expenses as depreciation, taxes, car insurance, and registration. Second, the addition of thousands of miles of monthly business mileage means that personal vehicle will depreciate faster and require more frequent maintenance, such as replacing oil, tires, brake pads, and more. So we’re not just talking about gas but a wide array of expenses that can be challenging to calculate. But it’s not just the range of expenses that gets complicated; it’s also the range of employee needs. Simply put, not all employees experience the same costs. 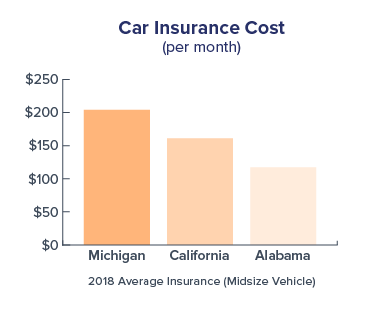 Michigan drivers pay more for car insurance than drivers in Oklahoma. 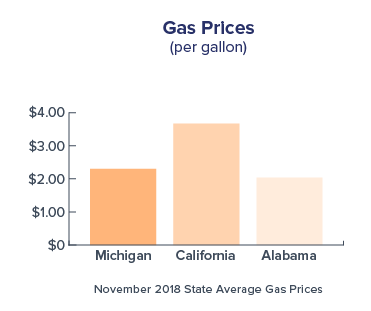 California gas prices greatly exceed the national average. Some employees travel 1,000 miles every month while others travel 3,000 miles. 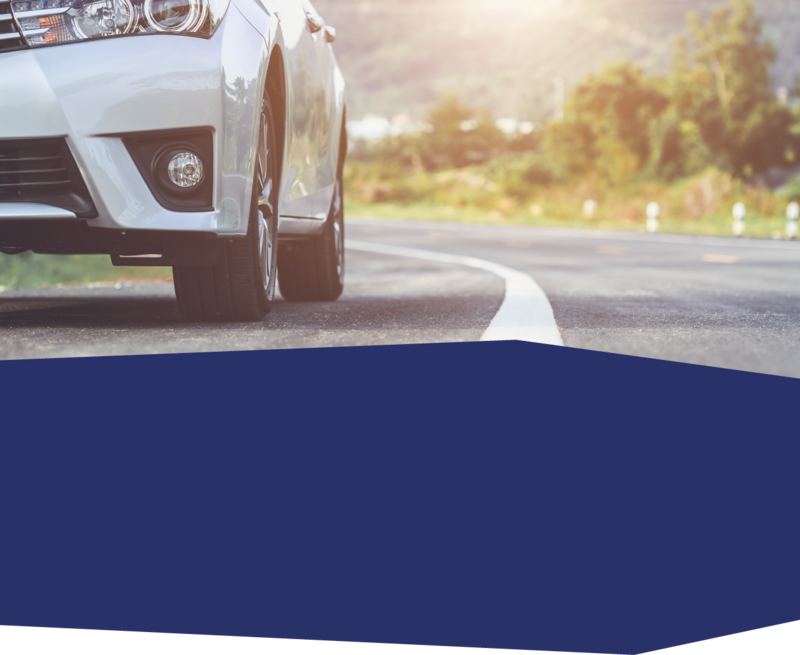 Later in this guide, we’ll discuss ways to address these differences, but if you’d like to see more speciﬁc comparisons of vehicle costs in different parts of the country, read Four Steps to a Reasonable 2019 Mileage Rate. Before making any policy adjustments in light of the range of vehicle expenses, you need to figure out whether your mileage reimbursement should be taxed and whether it's even the right policy for your organization in the first place. Is a mileage reimbursement taxable? If your organization already pays a mileage rate, it may be because management was trying to avoid a taxable reimbursement plan. As you consider changes to your mileage rate or switching to another reimbursement model, it’s important to know what the IRS considers taxable (a.k.a. non-accountable) vs. non-taxable (a.k.a. accountable). The primary distinction lies between reimbursement and compensation. If the employer can demonstrate that all payments distributed to offset vehicle expenses were matched to business use of the vehicle, then those payments are considered reimbursements. If the employer cannot demonstrate business use, the payments are considered compensation and therefore taxable. Generally speaking, any mileage reimbursement up to the IRS business rate is exempt from taxation, whereas a standard monthly car allowance is taxable compensation. Below is a list of common business vehicle plans and whether they are considered reimbursements (non-taxable) or compensation (taxable). The company multiplies the employee’s monthly reported mileage by a speciﬁc cents-per-mile rate and pays the resulting amount. As long as this business mileage rate does not exceed the IRS mileage rate ($0.58/mile for 2019), the payment is considered a reimbursement and non-taxable. The simplicity of this approach makes it by far the most popular of IRS accountable plans. The company pays a ﬁxed amount to each employee every month. This ﬁxed amount is considered compensation and therefore subject to taxation at both the federal and state level. Furthermore, the employer must also pay FICA/Medicare taxes on the allowance. To prove that a monthly car allowance is a reimbursement, a company can track the business mileage of its employees. This mileage is multiplied by the IRS mileage rate. The employee then receives the lesser of the car allowance amount and the mileage rate multiplied by the mileage. Some companies pay a ﬁxed amount along with a mileage reimbursement. The ﬁxed allowance is taxable but not the mileage reimbursement, as long as the mileage rate does not exceed the IRS business rate.  Other companies supply employees with a gas credit card or reimburse the receipts for gas expenditures.  Without mileage substantiation the car allowance remains taxable, as well as any portion of the fuel expenditure that cannot be demonstrated as business use (unless the employer charges the employee back for the personal gas use). Whereas the IRS mileage rate was designed to be a tax deduction tool for individual tax ﬁlers, fixed and variable rate reimbursement was designed as a corporate tax tool. A FAVR plan allows an employer to reimburse employees more accurately while keeping the reimbursement tax-free. In a nutshell, using expense data for the employee’s garage zip code, the employer pays a combination of a ﬁxed monthly amount and a variable reimbursement rate. Is mileage reimbursement a good ﬁt for your company? The two most popular business vehicle policies—the standard car allowance and mileage reimbursement at the IRS, or government, mileage rate—are popular because they are easy to understand and simple to administer. But simplicity and ease come at a cost. As the mobile workforce has grown, these “one-size-ﬁts-all” reimbursement models have become less of a “ﬁt” for many organizations. The standard car allowance often fails to keep up with employee expenses because taxes reduce take-home pay and because it does not adjust up for drivers with large and/or expensive territories. Similarly, the IRS mileage rate, created as an individual tax deduction tool, has become less suitable as the number of mobile employees and total mileage amounts have increased. The government mileage rate, intended only as a measure of average vehicle costs, cannot capture costs with precision. This lack of precision increasingly proves problematic as the number or variety of mobile employees increases within an organization. Not only do employees drive different amounts, but they also face different geographically-sensitive costs. A single mileage rate can work if all employees live in similarly-priced geographic regions and drive similar amounts per month.  However, a company that operates in multiple regions will have employees facing very different geographically-sensitive costs, such as fuel and insurance. A small company whose employees all drive between 1,000 and 1,500 miles per month may ﬁnd the IRS mileage rate a suitable tool, but a larger company with more high-mileage employees may ﬁnd the government rate simply unaffordable. There will also be major discrepancies between the reimbursements of these high-mileage employees and drivers who cover small territories yet still face high ﬁxed costs (e.g. insurance, depreciation, taxes). Standardized car allowances and mileage rates share the same problem: equal compensation for unequal expense needs. To determine whether a mileage reimbursement is the best plan for your company, you need to fully explore the challenges inherent to paying a standard rate to a variety of mobile employees. The next section will delve further into each of these challenges and what it takes to solve them. 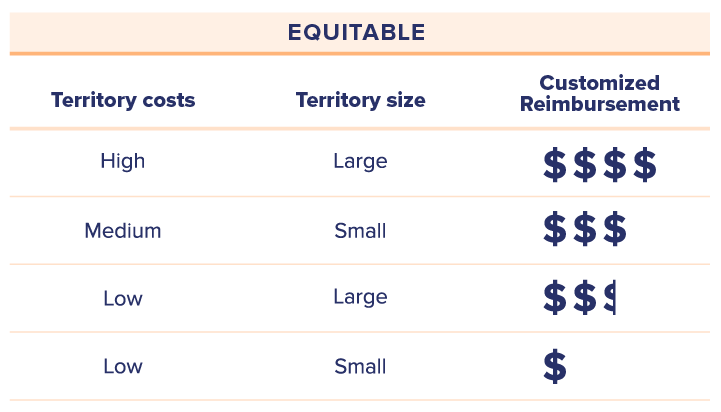 Mileage reimbursement at a standard rate creates three challenges that you need to have a plan to solve: expense variations, lack of precision, and cost control. In theory, a mileage rate should help with expense variations because, generally speaking, the more you drive, the more it costs. In reality, however, vehicle expenses fall into two categories: ﬁxed and variable. Fixed costs, such as insurance, taxes, and depreciation, become less costly per mile when spread over a higher number of miles driven. Variable costs, such as gas, maintenance, and tires, tend to increase with miles driven, though other factors such as gas prices impact these as well. Both employees pay the same amount for their driver’s license, vehicle taxes, and car insurance (for the most part). Employee B will spend more on maintenance and tires and spend a lot more for gas. But Employee B is not going to spend $14,210 more in gas, maintenance, and tires than Employee A. Plus, Employee A’s car depreciation by itself will likely exceed $2,000. Employee A is getting shortchanged. Employee B is making bank. This is a huge inequality, and it happens all the time. Before 2018, Employee A could at least calculate the shortfall and write it off as an unreimbursed business expense. But tax reform has eliminated the unreimbursed expense deduction for the tax years 2018–2026 (more on this below). This change will place pressure on employers to reimburse sufficiently or lose employees, or worse, face lawsuits for state labor code violations. Most mileage rates do not ﬂuctuate with gas prices, adding to the problem. 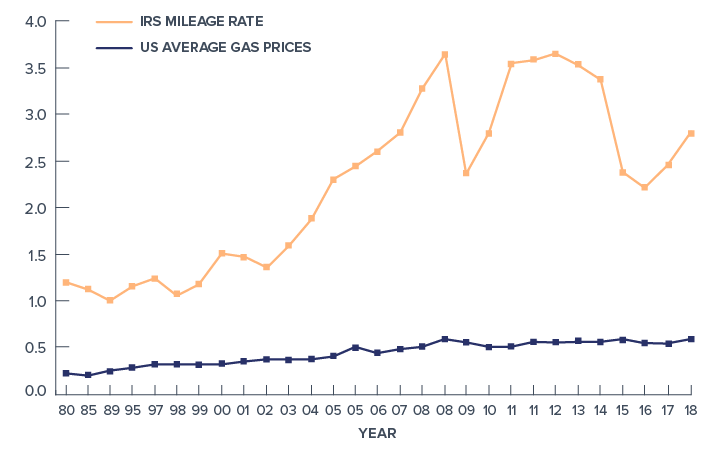 For example, the IRS rate only generally tracks with gas prices but historically has not adjusted with spikes. 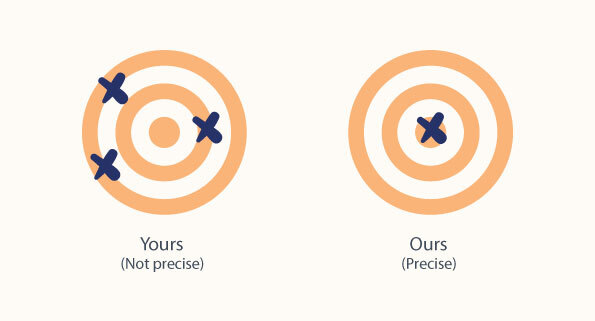 Lack of precision can cause problems. The IRS business mileage rate was never designed to accurately reﬂect all motorists’ vehicle costs. Instead, the government rate is derived as an average of all vehicle expenses across the entire United States from the previous year, which works just ﬁne in terms of taxation but less so for companies seeking to accurately reimburse employees. Different motorists in different parts of the country experience different levels of expense per mile driven. But as far as the IRS is concerned, it all averages out across all tax returns. Some taxpayers end up deducting more than their actual costs, while others less than their actual costs—but it all evens out for Uncle Sam. 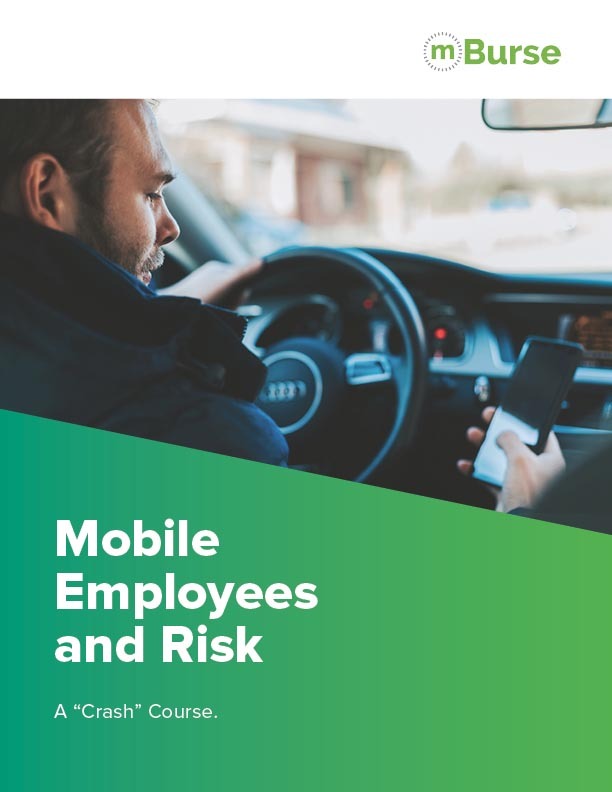 If mobile employees are being shortchanged by the IRS rate, they may drive unnecessary miles to increase their reimbursement. If they are being over-reimbursed, however, that becomes an expense problem for the company. Most companies rely entirely on the employee to record business mileage. This creates a cost control problem. Because neither the IRS mileage rate nor most company-derived mileage rates adjust automatically with gas prices, there are times when a sudden increase in gas prices brings a sudden decrease in cash ﬂow for the employee. The same thing happens if their insurance or personal property tax rates increase. In situations where business expenses increase but the mileage rate stays the same or only slightly increases, an employee will seek ways to recoup the loss of income. 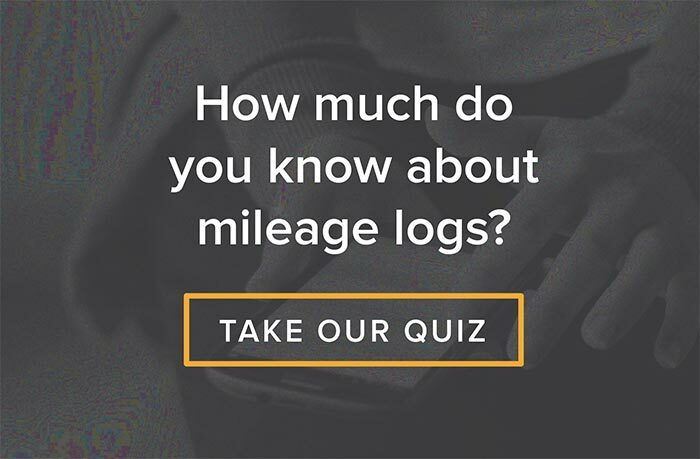 Depending on what type of mileage log the company uses, this could mean adding extra mileage to the log, or it could mean driving extra, unnecessary miles. When reimbursing mileage, it can be very difficult to control costs because calculating the mileage reimbursement remains largely in the employee’s hands. Remember, the IRS rate is an average of all averages. You need to ﬁnd out what range of expenses your employees experience in their respective territories and roles. A good starting point would be to look at gas prices, average insurance premiums, and tax rates in each employee’s territory. All of this information can be found through a simple Google search. 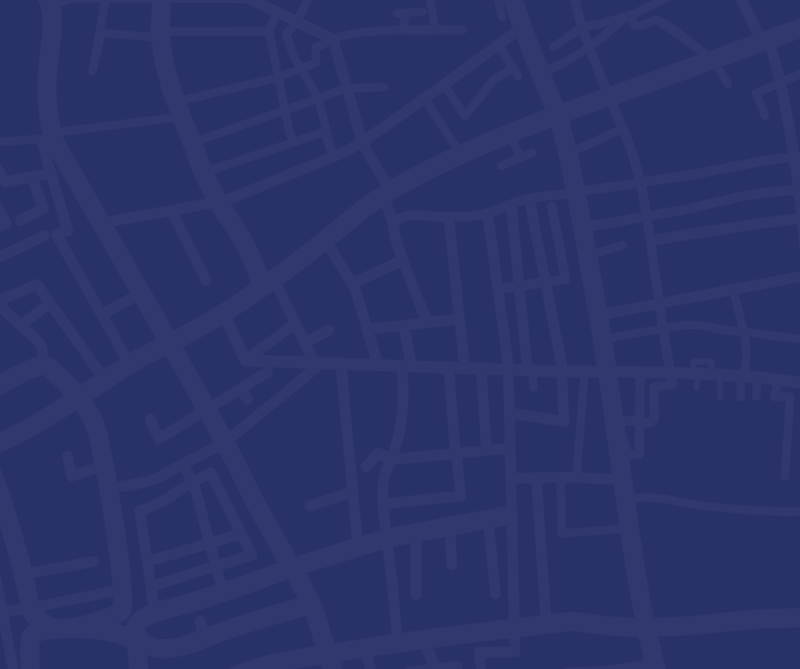 For a more comprehensive approach, contact mBurse to obtain cost data for each employee’s territory, which can help guide you in choosing an appropriate mileage rate that can be adapted to different employees’ needs. USE A MILEAGE RATE THAT TRACKS WITH CHANGING EXPENSE DATA. If your mileage rate ﬂuctuates with gas prices, employees will be far less likely to offset a price increase by reporting extra mileage. Make sure to have a person whose job involves evaluating the mileage rate on a regular basis to make sure it’s neither shortchanging nor overpaying employees. Fixed and variable rate reimbursement combines steps 1 and 2. 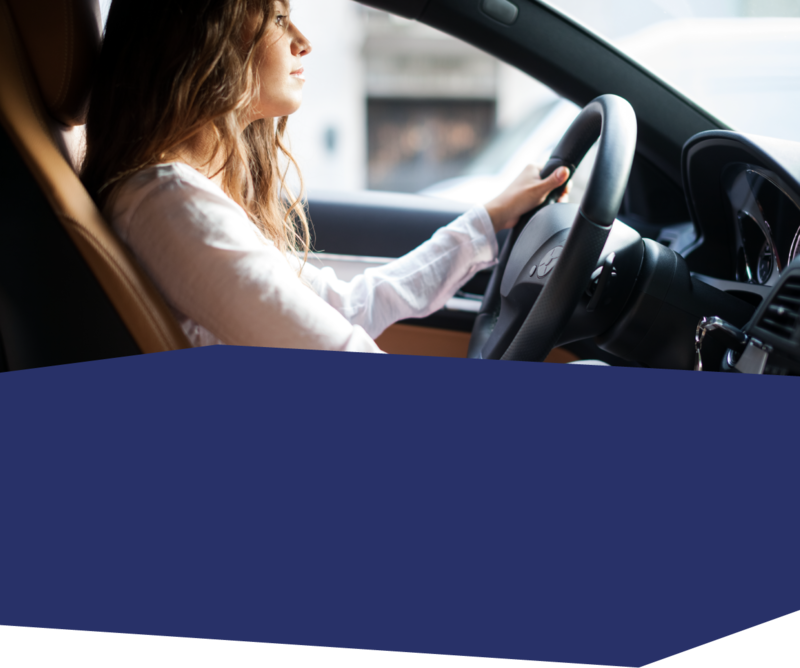 FAVR also addresses the discrepancy between high-mileage and low-mileage drivers by paying a set monthly amount in combination with a variable mileage rate. 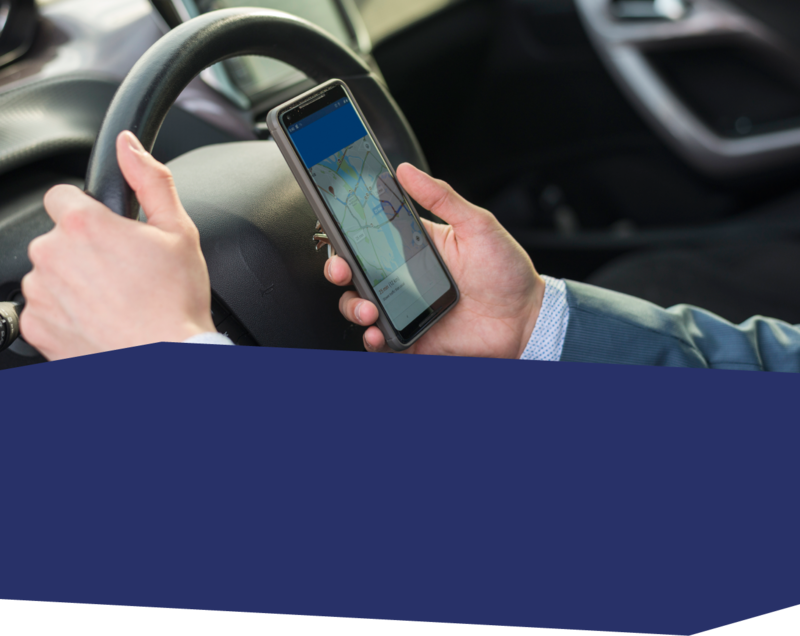 When it comes to tracking business mileage, the most accurate mileage logs available today are GPS apps that employees can operate from their smartphones. These apps precisely capture business mileage without any manual reporting. 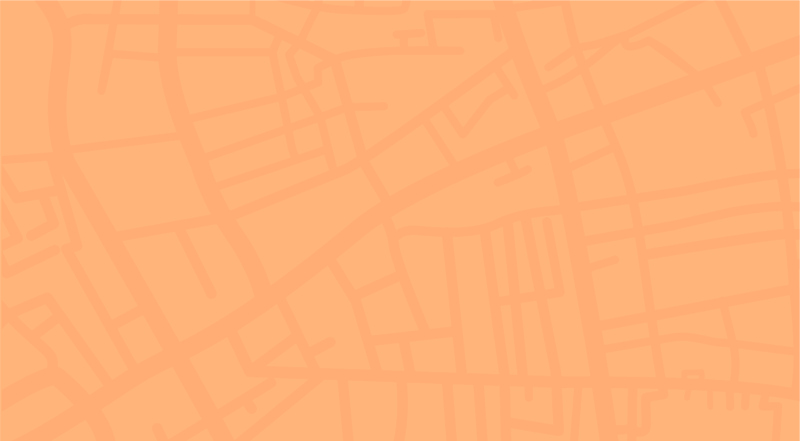 The mBurse GPS app, TripLog, offers features that protect each driver’s privacy. These GPS mileage logs can also integrate with the company's CRM software and payroll software to keep employee time focused entirely on job responsibilities. There are quite a few options when it comes to mileage tracking and it's best to make an informed decision on what ﬁts your company and culture. 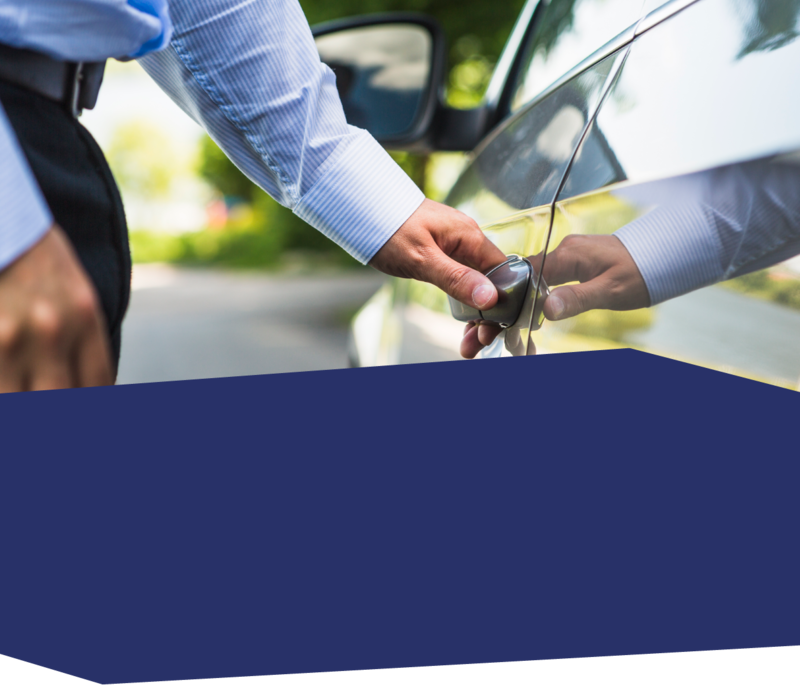 Getting your vehicle reimbursement policy wrong can impact nearly every aspect of your organization. When an employer reimburses employees insufficiently, those employees will seek recourse. Labor code lawsuits are a distinct possibility in employee-friendly states. Or an employee might reduce his or her auto insurance coverage. What happens if that employee causes a car accident while working? Any gap between the employee’s insurance and the costs of the accident will now become the responsibility of your company. Under-reimbursement can also drive a wedge between reported mileage and employee productivity. If your drivers self-report their mileage, they may either reduce their driving while reporting the same amount of mileage or increase their reported mileage without increasing their productivity. In a nutshell, a mileage reimbursement incentivizes the accumulation of mileage, not improvement in sales or client relationships. In the end, employees grow more focused on protecting their income than on protecting client relationships or boosting sales. This is a no-win situation that absolutely must be remedied via proper reimbursement. Insufficient or inequitable reimbursement for vehicle expenses will drive some employees out the door. Look at your attrition rates. Has employee attrition increased over time? Changes in the 2018 tax code may push more employees out the door as well, especially those with small or expensive territories, whose ﬁxed costs cannot be covered by the company mileage rate. Potential employees will also take time to learn what they can about the company’s car reimbursement plan. If they project insufficient reimbursement, they may not accept a job offer or even apply in the ﬁrst place. Vehicle reimbursements have assumed even greater importance under the new tax code. Under the Tax Cuts and Jobs Act (TCJA), enacted December 21, 2017, employees cannot write off unreimbursed business expenses during the 2018-2025 tax years. In the past, an employee receiving a mileage rate less than the IRS business rate could deduct the difference between their company’s mileage rate and the IRS rate. An employee receiving the IRS rate could deduct the difference between actual expenses and the total mileage reimbursement beneﬁt. Either way, the employee had recourse to offset an insufficient car reimbursement plan. Now, drivers may seek other recourse, such as lawsuits for labor code violations. The elimination of this popular deduction puts particular pressure on companies operating in employee-friendly states like California and Massachusetts with labor codes that indemnify employees from business expenses. These labor laws strictly prohibit companies from passing on business expenses to employees. As of January 2019, Illinois has enacted the same kind of law. Other states may also begin dictating full reimbursement as increasing numbers of employees discover that the tax reform has stripped away an important method of reclaiming income lost to business expenses. There’s already a group of states with other labor code protections that favor employees when it comes to business expenses (CT, RI, MI, ND, and SD). The tax reform does lower tax brackets. However, removing the opportunity to ﬁll out form 2106 for unreimbursed work expenses will have a bigger impact. Employees will increasingly pursue full reimbursement from their employers. State legislatures will increasingly face pressure to pass new labor laws protecting employees. Both drivers received a helpful beneﬁt under the old tax code that the slightly reduced income tax brackets will not be able to offset. Without a response to this new tax code reality, companies may lose employees like Driver 1 and Driver 2, or ﬁnd themselves in court—which could get a lot easier as state legislatures strengthen labor laws in response to the TCJA. The reality should add urgency to determining a fair auto reimbursement rate in 2019. What's a reasonable mileage rate in 2019? The new tax landscape narrows the window to get your car reimbursement policy right. One important deadline stands out: April 15, 2019. 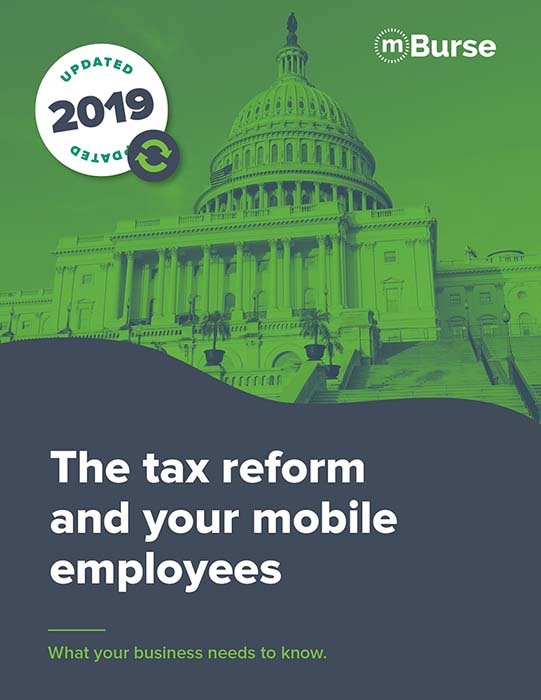 Millions of mobile employees have already ﬁled tax returns in advance of that date. Some have unexpectedly discovered that they can’t write off vehicle expenses using Form 2106 anymore. Others will make that discovery in the coming weeks. These employees will consider their options for recourse. Either way, you’re in a bind if those are your employees. Unless you’re already properly reimbursing them, sticking with the status quo will hurt you. Estimate actual employee car expenses and compare these with their current reimbursement amounts. 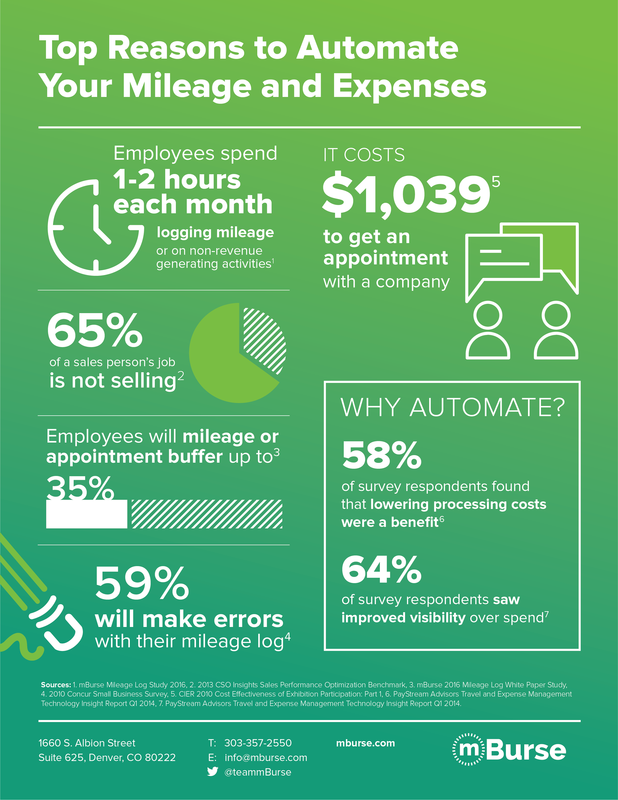 Discover whether reported mileage matches actual employee productivity. If you aren’t using a GPS-based mileage log, research this new technology. Learn more about fixed and variable rate reimbursement. 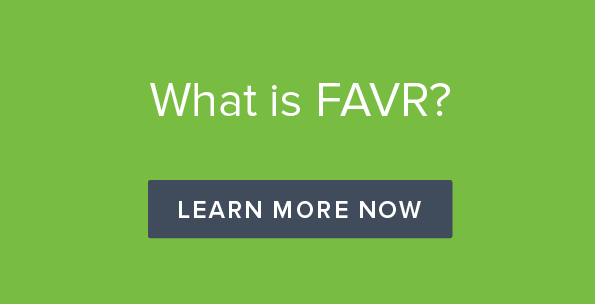 FAVR is the most accurate and defensible policy, and it’s completely unaffected by the elimination of the unreimbursed business expense tax deduction. The question still remains, what’s the best mileage reimbursement rate? Hopefully, you’ve ﬁgured out the answer: It’s complicated! Because two employee drivers within a single organization can experience widely different costs, there’s no quick and easy way to determine the right reimbursement amount. To determine the right amount, you have to know the employee’s zip code and geographically-inﬂuenced ﬁxed costs. You also need to attend to the ratio between the mileage driven and actual expenses. The number of miles driven affects everything from fuel consumption and tire wear to maintenance and depreciation. Remember that high-mileage employees can end up being over-reimbursed once they reach a certain number of miles, if they are paid a ﬂat mileage rate. Similarly, low-mileage employees can get shortchanged if their mileage rate does not cover their ﬁxed expenses like depreciation and insurance. In summary, accurate vehicle cost data must drive accurate vehicle reimbursements. This is the only way to ensure equitable reimbursement and to rein in costs from over-reimbursement and protect employees from under-reimbursement. 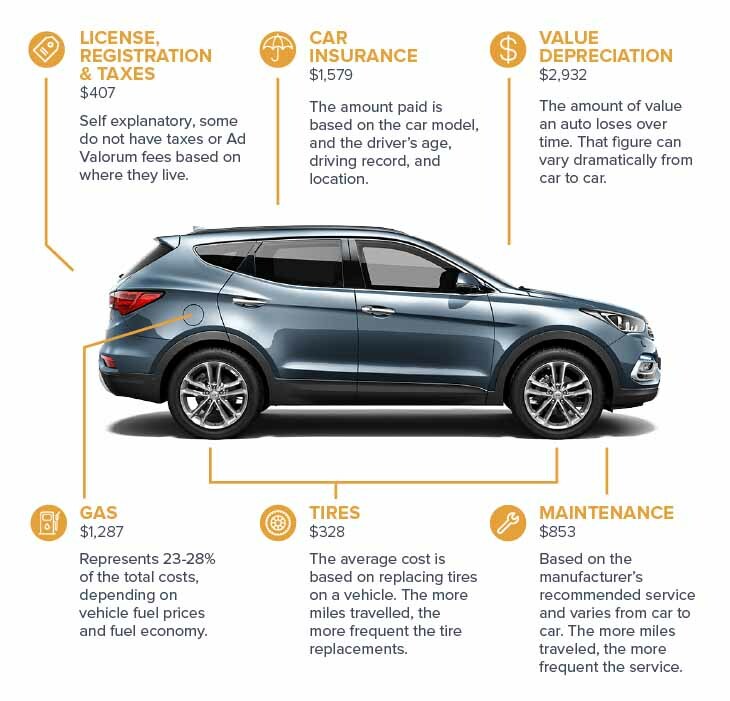 To give you an idea of actual vehicle cost data, we’ve created a helpful graphic below. 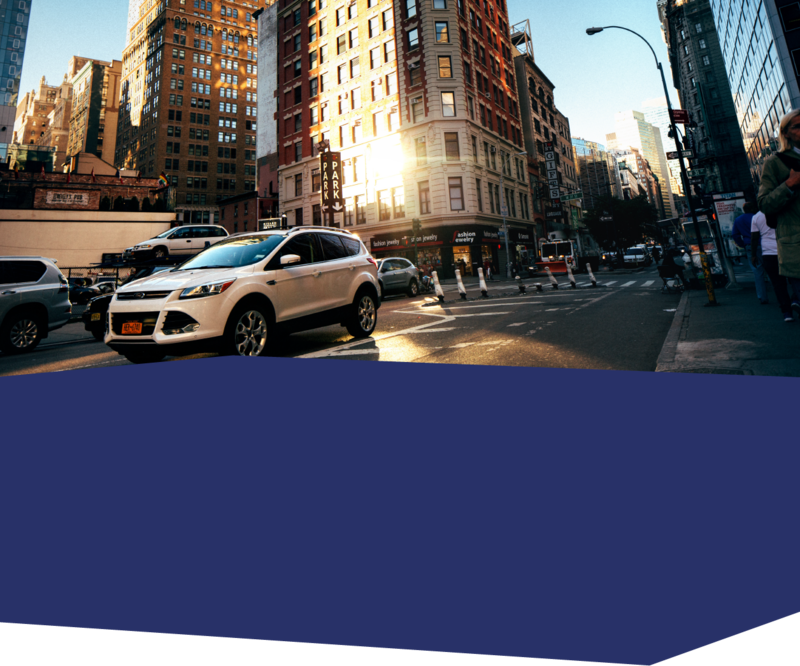 Look at different parts of the car image to discover the average amount U.S. drivers experienced in each vehicle expense category over the past year. What you ﬁnd may surprise you. When you add up these average annual costs, you get a monthly expense of $615.50. And that’s average. If you’re paying the IRS mileage rate, your employees need to drive 1,061 miles per month to break even. And that’s if they experience average annual costs. But what if they drive 1,200 miles/month in California, with some of the highest gas prices and maintenance costs in the U.S.? Or in Michigan, where insurance rates are the highest in the country? Will that extra 139 miles net the amount they need to cover their geographically-based costs? And what about depreciation and insurance costs for low-mileage drivers? Together make up over 60% of the costs of owning a car and have little relationship with miles driven. From the company perspective, you’ve also got a cost-control problem from high-mileage drivers putting in 2,000 or 3,000 or 4,000 miles per month. That IRS rate will rapidly exceed the drivers’ actual expenses, especially if they live in less expensive parts of the country. 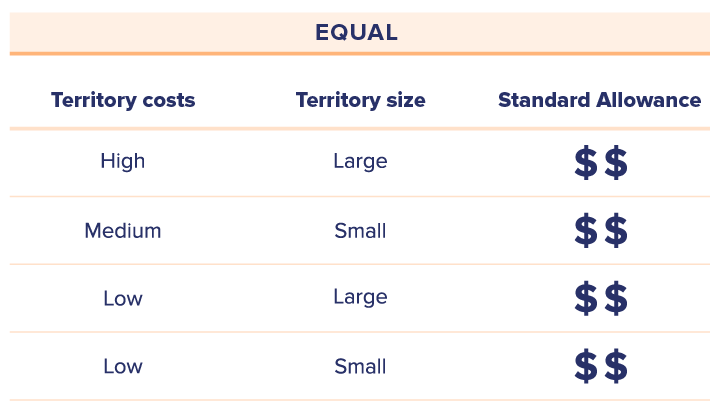 Well, you could use these average costs to estimate the needs of your individual employees based on whether they face below average or above average costs as determined by geographic location, territory size, and vehicle type. But you could also use tools that will give you more speciﬁc data. 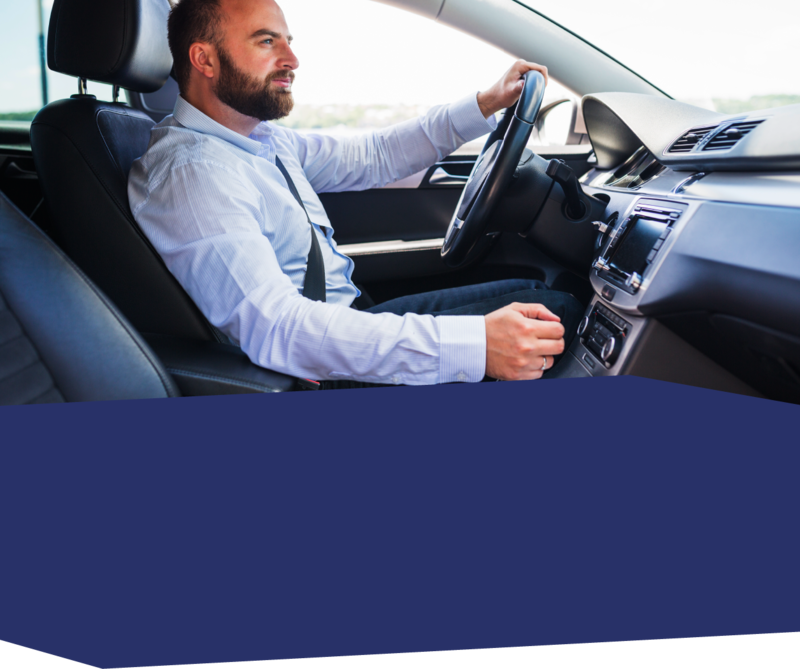 mBurse can quickly provide the data and pinpoint an ideal car allowance amount or mileage rate for your drivers. Visit our Professional Services page for more information. There are IRS-accountable plans designed speciﬁcally to help businesses address the variety of vehicle expenses their employees experience. The time is now—review the recommendations throughout this guide, and commit to developing a cost-effective policy that pays a fair and reasonable vehicle reimbursement. The 2018 tax season is now upon us. If you wait until next year to make changes to your mileage reimbursement policy, what will the consequences be?